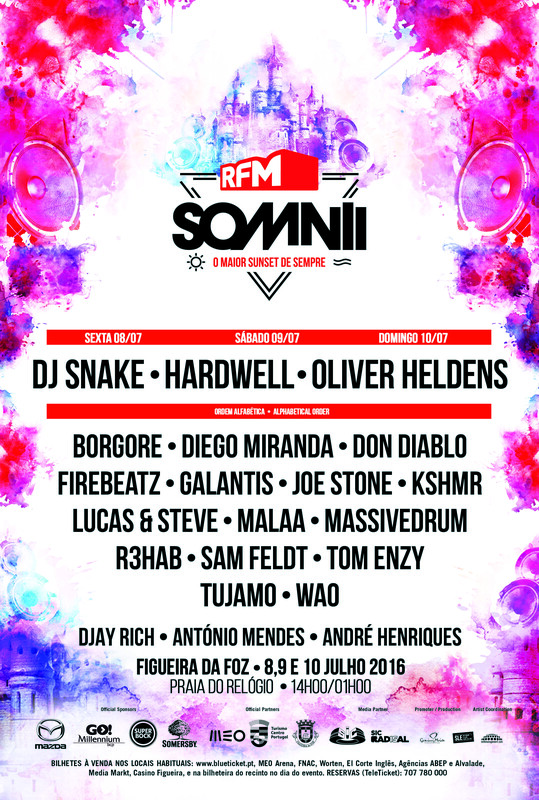 RFM SOMNII - O Maior Sunset de Sempre! 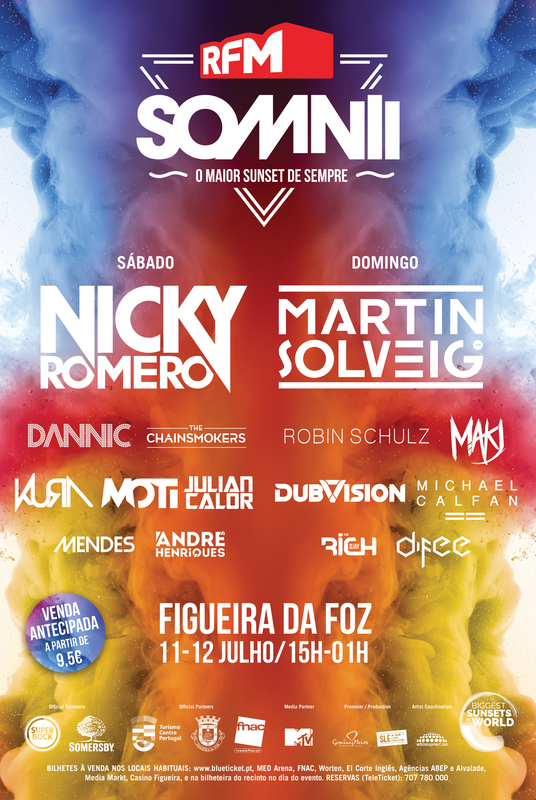 is the best selling portuguese music festival, selling more than 120.000 tickets in three days. It has been sold out for the last 3 editions. It's also the biggest european beach party. It takes place in Praia do Relógio, which is a sandy beach in Figueira da Foz, situated in the geographic center of Portugal. The mood is set by Portugal's great summer climate and the warm waves of the Atlantic Ocean, along with the best music in the planet. We call it "The Biggest Sunset Ever! ".